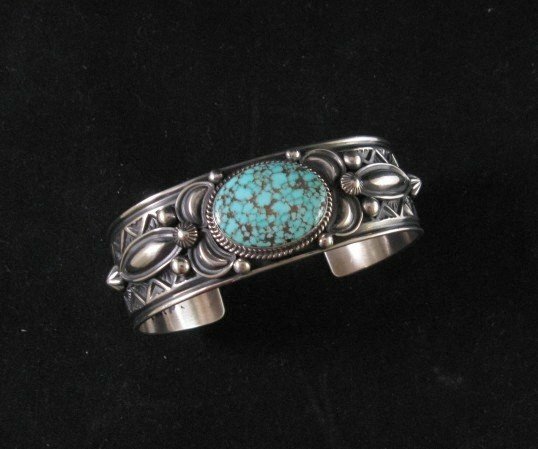 Here is another magnificent Navajo hand made sterling silver turquoise bracelet by Native American silversmith Andy Cadman. The bracelet features a genuine Turquoise Mountain stone set in a straight bezel, accented with twisted silver wire and applied sterling silver beads and other accents. 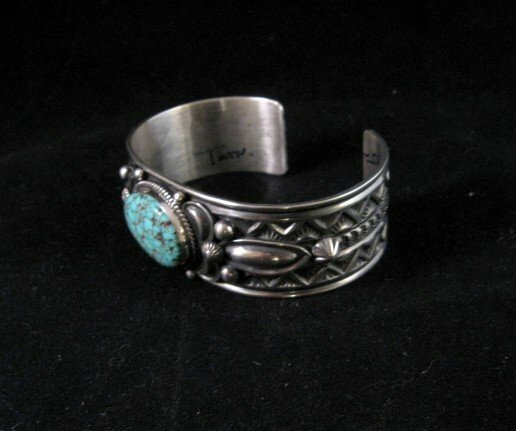 The bracelet is stamped from end to end with the old style stampwork for which Andy Cadman is well known. The turquoise stone is a bright sky-blue color with a webbed honey-brown matrix. The stone measures 7/8 long by 5/8 wide. My wrist is 6 around and the bracelet is loose on me. The bracelet weighs 59 grams. Brand new in perfect condition. Stamped sterling and has Andy Cadman's hallmark. Certificate of Authenticity included. 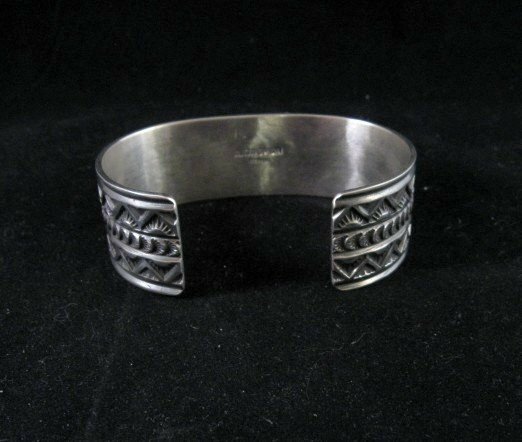 Andy Cadman is the older brother of well-known silversmith Darrel Cadman and a half-brother of renowned silversmiths Gary and Sunshine Reeves and he was taught to do silver work by them. 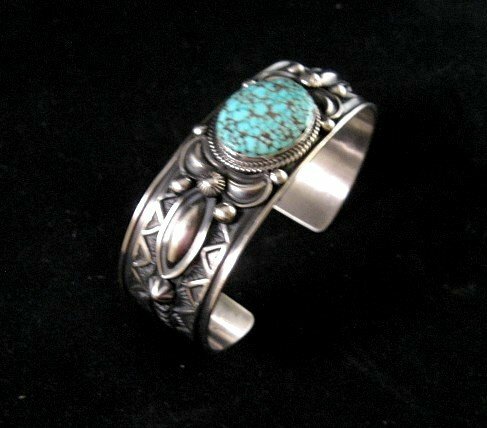 Born in 1966 in Gallup, New Mexico, Andy started silverwork in 1989. The Cadman brothers and the Reeves brothers exhibit certain similarities in their work. They all work in the Navajo revival style .